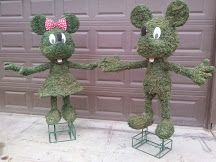 Topiary Animals Created Just for You! commercial and residential outdoor decorations. Please contact me for a free estimate or with any questions you may have. 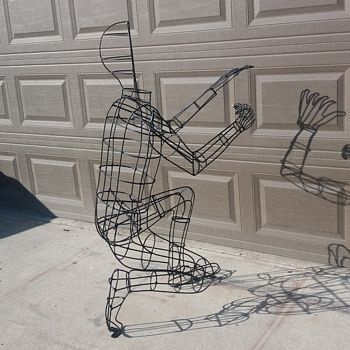 We use powder coating for a durable baked on finish that resists weather and corrosion. 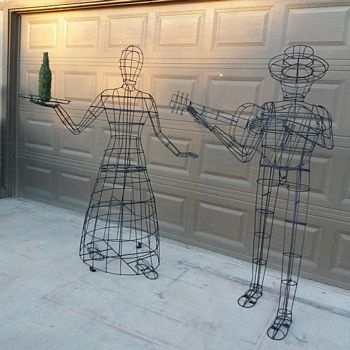 All our Topiary frames and forms are designed and built in Fresno California. 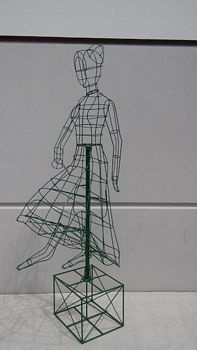 Live Topiary is a frame or form of any size or shape used to guide live plants. 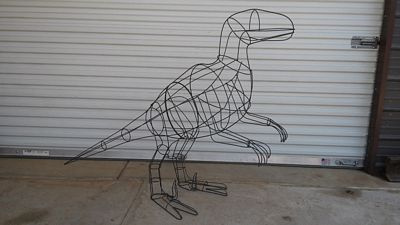 As the plants grow to fill in the topiary frame the animal or object begins to take shape. Some grooming is required during the fill in process, this takes a few weeks and larger topiary structures can take several months to fill. The reward for patience and careful grooming is a finished work of topiary art that lasts for years. The art of topiary is a unique process design comes from what you see and experience throughout the day little things serve as inspiration, self expression through the hands of another is truly a unique experience. Topiary is made from a picture taken on a holiday trip or magazine photo. 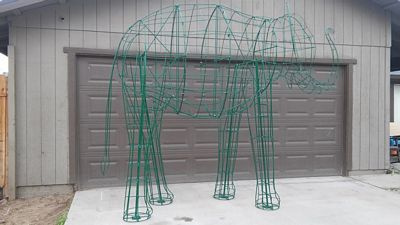 Fantasy or whimsical all animals or objects can create its own topiary sculpture presence. A well landscaped home or business beholds many a pleasure to the eye. 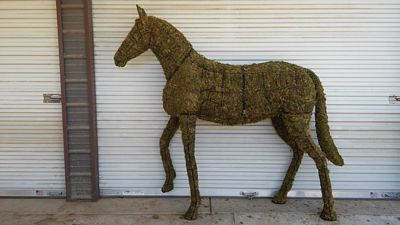 Mossed topiary horse stuffed with long fiber green sphagnum moss.